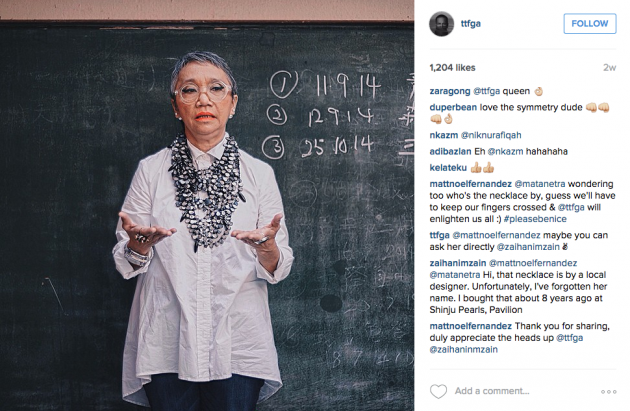 Avid users and aspiring photographers of Instagram have probably come across Ridduan TTFGA Ismail‘s Instagram account. Ridduan Ismail, or known as TTFGA (Tukang Tangkap Foto Gembira Anda), was born in Kelantan and is currently based in Kuala Lumpur. Ridduan has built a reputation for himself as a street fashion photographer, with a portoflio that includes names from the local celebrity scene such as Dato’ Sheila Majid, Bront Palarae, Najwa Mahiaddin, and fashion designer Amir Luqman. He has over 20,000 followers and has posted more than 6,000 posts on his Instagram account. We are always being taught to remain humble in the face of achievements. And if you forget to do so, usually there is someone to remind you—in this case, that person was none other than Marina Mahathir. 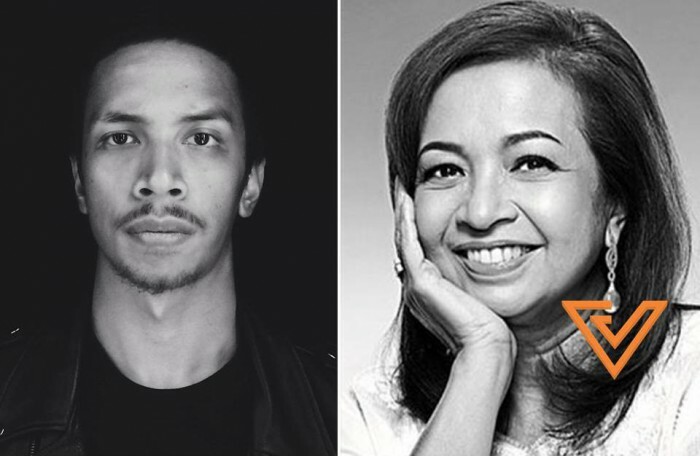 Marina Mahathir, Tun Dr. Mahathir’s daughter who is a social activist, writer, and a women’s rights advocate, happens to be one of the followers of Ridduan Ismail. 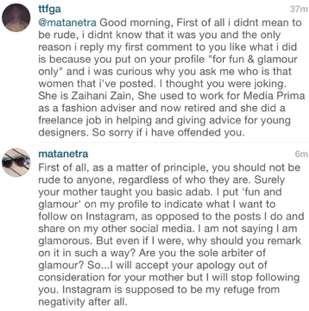 She left a harmless comment on one of Ridduan’s photos but was taken aback by his rude reply. 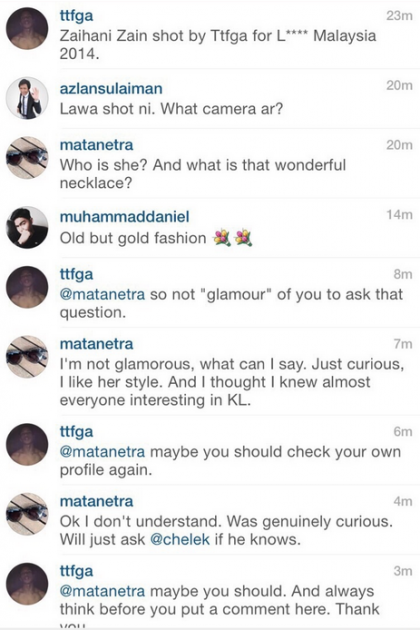 so not “glamour” of you to ask that question. Here is a screenshot of their brief and uncomfortable conversation. Of course, Marina was not one to back down and let Ridduan get away with his rude comment, despite him deleting the evidence. She fought back with a long messages consisting of life advice, whereby she said we “should not be rude to anyone, regardless of who they are”. I suppose Ridduan realised who he just picked a fight with and proceeded to explain himself and apologised to Marina. It isn’t known what happened after this as Ridduan has set his account to private. Marina’s profile is also on private and her profile description on Instagram is “For fun and glamour only. Strictly politics-free zone”. She sure knows how to have fun and partake in discussions about fashion on Instagram, but she definitely takes courtesy very, very seriously. And you should too.